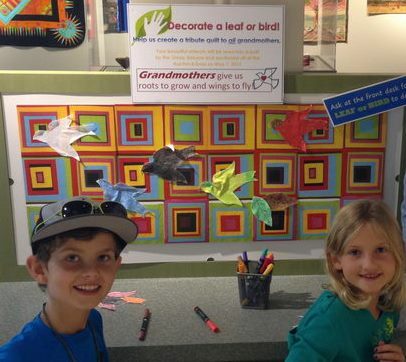 Many children visited the Exhibit while it was at The City of Waterloo Museum May through September, 2014. 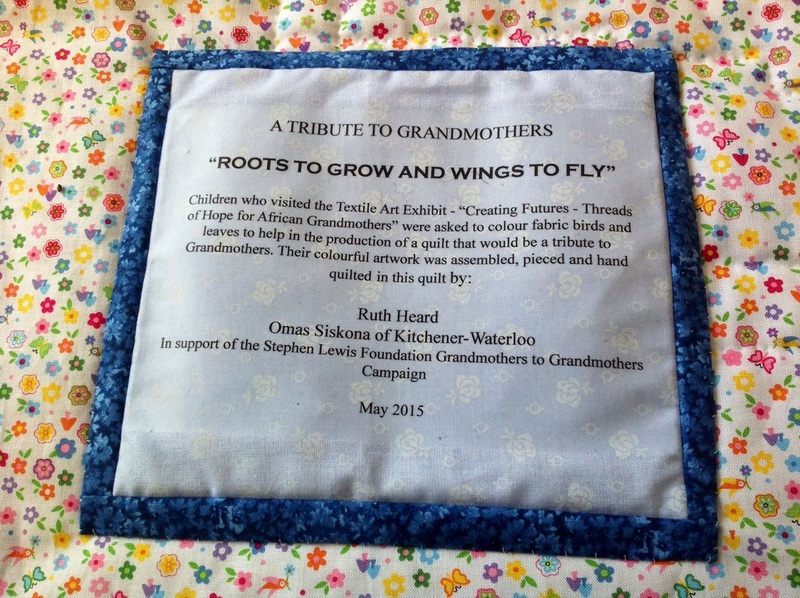 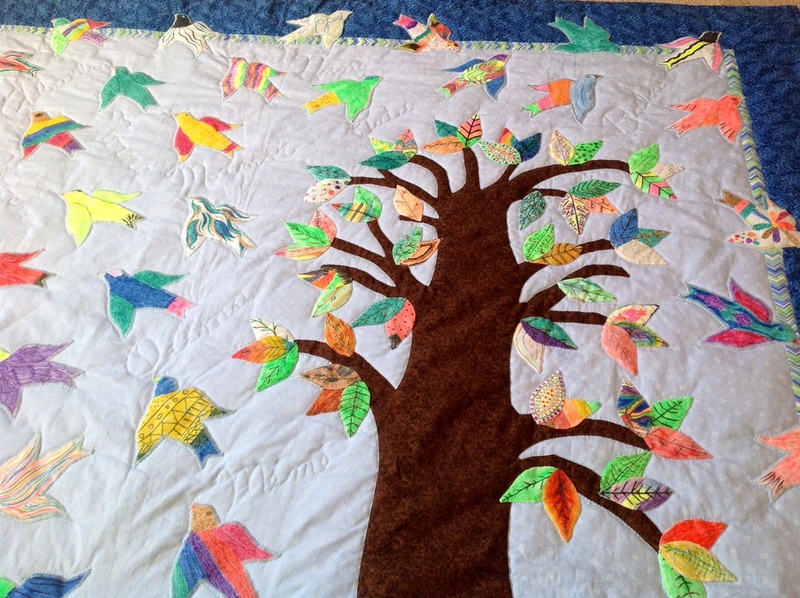 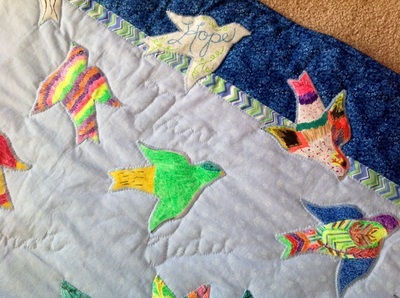 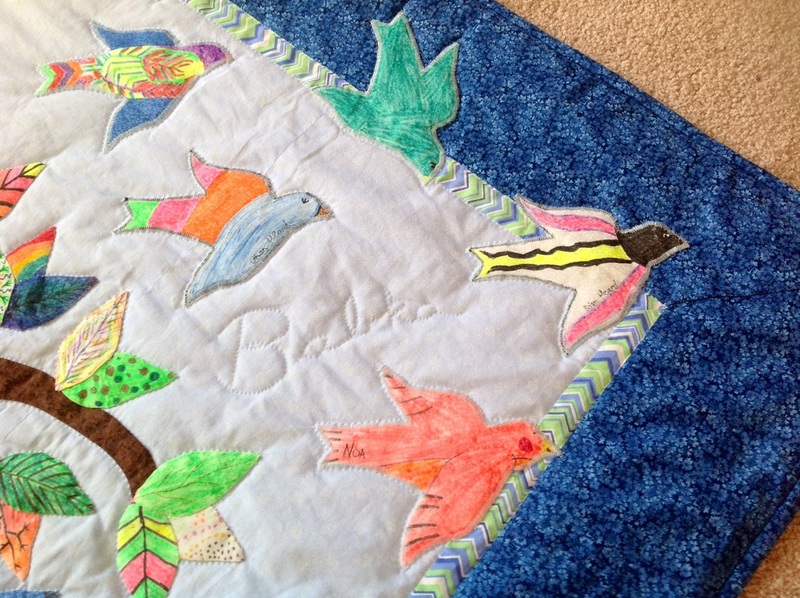 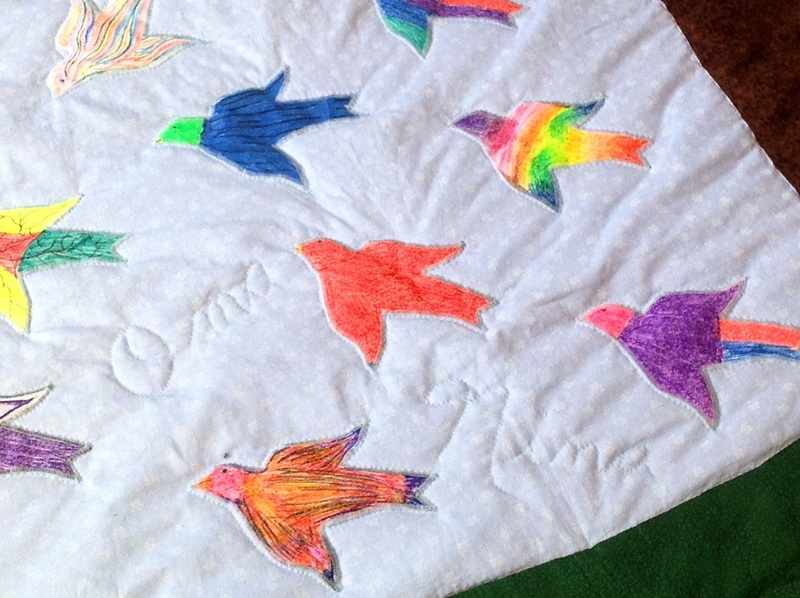 Each child was invited to colour birds and leaves that would find their way into this beautiful full- sized bed quilt. 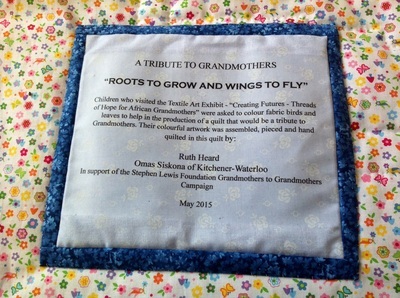 in celebration of Grandmothers everywhere. 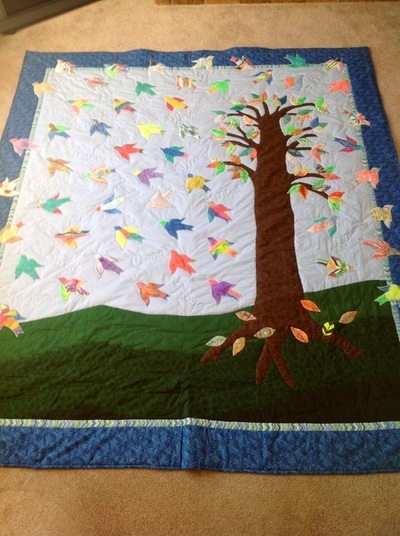 It was sold at our Gala & Auction May 1, 2015 .